lunch box. I got hooked to carrot halwa. there was enough carrots and milk for me to make carrot halwa. and fry for 8 minutes or until the raw smell goes away. Soak chana dal for about 5 hours. Drain the water. salt and lemon juice to the salad. artifical color, so I never purchased them even before I was a vegan. comments by Majula in youtube's badam burfi video. 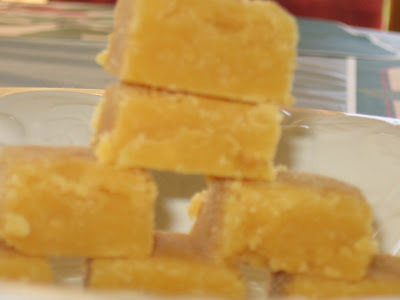 Manjula says that pista burfi can be made by following the same procedure as badam burfi. originated from northern region of India. 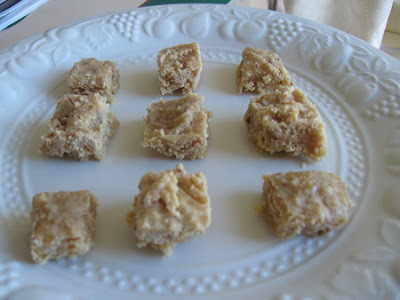 Badam Burfi's always ended up looking like truffles. 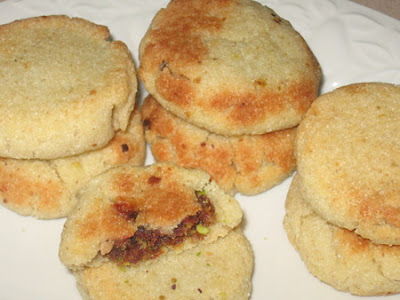 go to Youtube, and type, Manjula Badam Burfi in the search box. Indian cuisine also has some crunchy nutritious salads. is one of the salads which I make frequently. 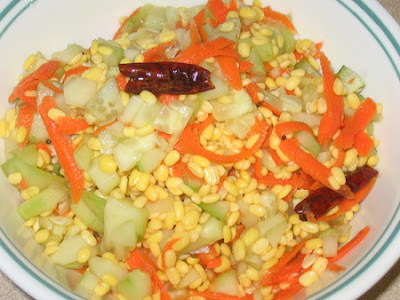 This salad is called as Kosumbari, in Kannada, a local languge in one of the states of India. cucumber into small pieces. Grate the carrot. 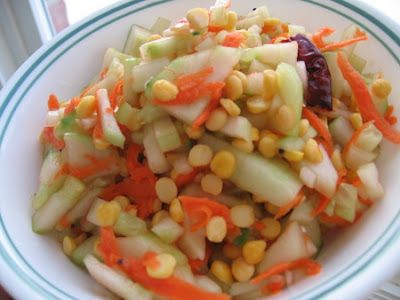 Mix soaked moong dal, carrot and cucumber.Add salt and lemon juice to the salad. In a small pan, heat oil, add mustard seeds. Once the mustard seeds pop, add broken red chili pieces. Add this mixture to the moong dal salad. 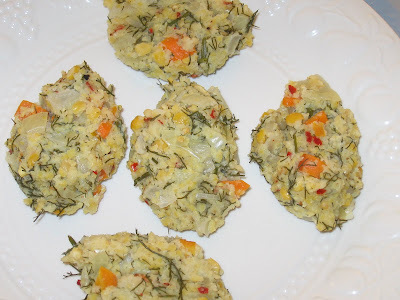 Garnish with cilantro or unsweetened coconut. Last month, Suganya of Tasty Palettes, hosted an event - Vegan Ventures. Thai rice and beans croquettes, Lemon poppy seeds cookies, Mixed vegetable curry, Chocolate truffles, Almond orange chocolate cake and Rice paper rolls are some of the mouthwatering vegan dishes and desserts you can view and get the recipes by visiting Tasty Palettes. Thanks Suganya for inspiring people to try vegan fare, which is great for our planet. blog, I wanted to make those cookies. cookie. I'm sure I will be making this often. 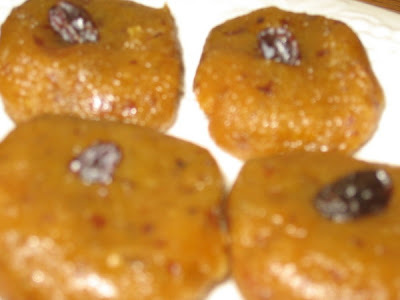 South India, jaggery is widely used as a sweetener. 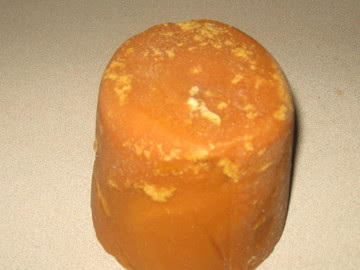 Jaggery is available in Indian grocery stores. 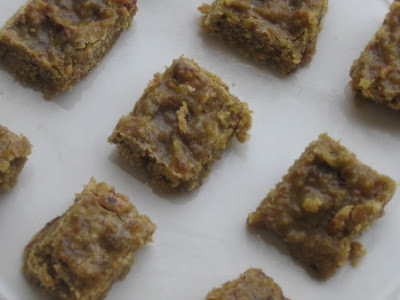 You can cut jaggery into smaller pieces before using it. Sometimes, packets of jaggery pieces are also sold in Indian grocery stores. This is my entry to the Vegan Ventures, hosted by Suganya of Tasty Palettes. Thank you Suganya for hosting Vegan Ventures! in-between, until the mixture becomes thick. Turn off the heat. 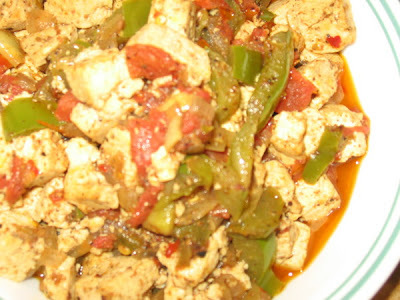 Asian stir-fried vegetables, Classic Ratatouille, Creole okra, and Green Beans with Tomatoes and Herbs are some of the recipes I found in the booklet, "The New American Plate -Veggies"
Visit this website and get your recipe booklet, which is filled with vegan recipes. 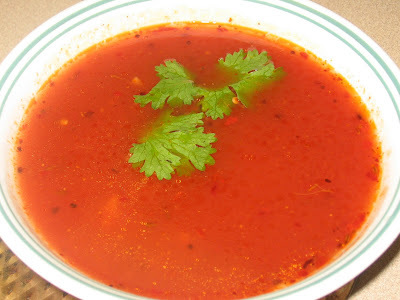 eat, rice and rasam - my comfort dish during winter. When I suffer from cold, I crave for hot tangy rasam and rice. ginger , garlic, crushed red pepper and curry powder. After one minute, add tomato juice, salt and water. after 10 -12 minutes. Garnish with cilantro. Tastes great with hot rice and poppadom. 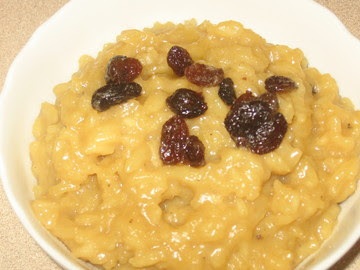 always served with sheera, semolina based sweet dish. the mustard seeds pop, add urad dal and chana dal. that there are no lumps in the mixture. you want the upma to be spicy. 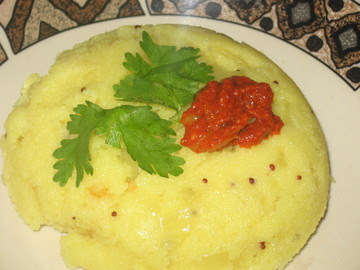 I love to eat upma with a dollop of Earth Balance Soy Garden Natural Buttery Spread and spicy lime pickle. I came to know that November to be a vegan month while visiting food blogs. Visit Meatout Mondays, Fatfree Vegan, International Vegetarian Union and Vegan Lunch Box to find vegan recipes. Visit Vivevegie to read the benefits of becoming vegan. Today, I made puran poli following Indira's recipe. vegetable oil instead of ghee(clarified butter). blog, I wanted to try it. baked this delicious cake, from past couple of months. 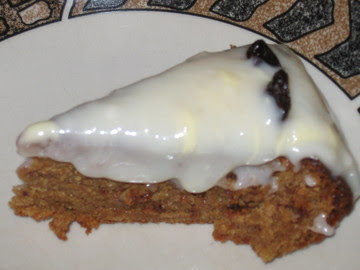 Date cake. The color of the cake was so beautiful! looked horrible, but it tasted great! will be baking this cake often. 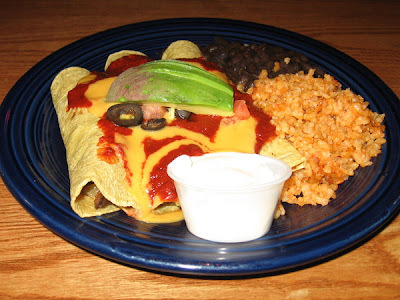 delicious vegan fare - burritos and the mexican rice. for over 20 years and is the author of a popular cookbook -Chicago Diner Cookbook. to tips , for vegetarians and vegans. 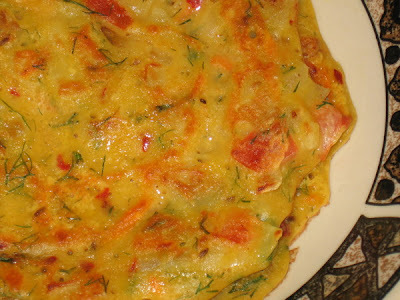 Visit International Vegetarian Union and Veg Cooking for recipes. Visit Veg family and Physicians Committee for Responsible Medicine (PCRM) for articles and health related information about vegan diet. Eat locally harvested produce by shopping at farmers markets. Visit Local Harvest to locate your farmers market in your area. chocolates, five star and kit kat. 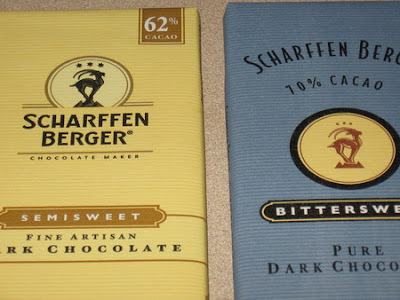 that Pure Dark Chocolates, was used only for baking. to know why milk is bad for you and your family. tasted better than the chocolates drenched with milk. almond, which was also delicious. 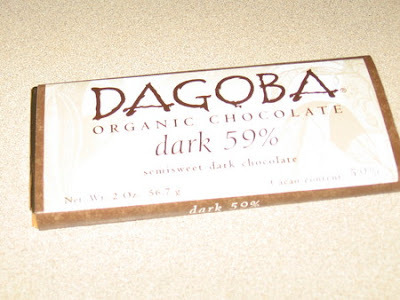 I purchased Dagoba Organic Chocolate and Scharffen Berger's, Bittersweet Pure Dark Chocolate in Hersheys Chicago. The common ingredients which you find in chocolates without milk are :cacao beans, sugar, cocoa butter, and soy lecithin. 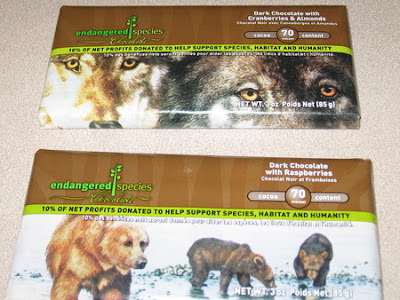 Visit Vegan Essentials if you can't find vegan chocolates in nearby stores. Pomegranate Harmony, a blend of juices - fruits and vegetables. antioxidants, which is good for our health. 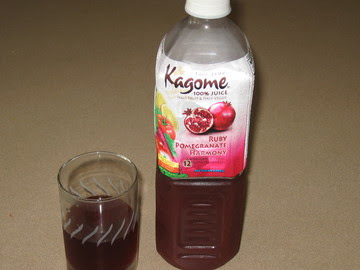 If you like raw vegetable juices, I'm sure you will also like Kagome juices. Visit Free Rice to learn new words and use Blackle as your search engine. in cities such as Bangalore, Mysore and Hassan. 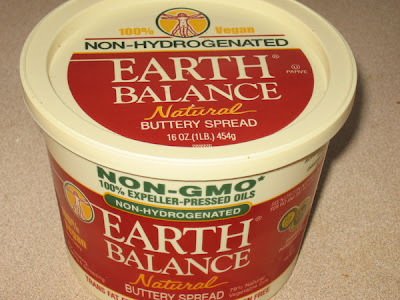 vegetarian", even though it is also a vegan product. The word - vegan, is not a popular word in India. and texture of the soya chunks. 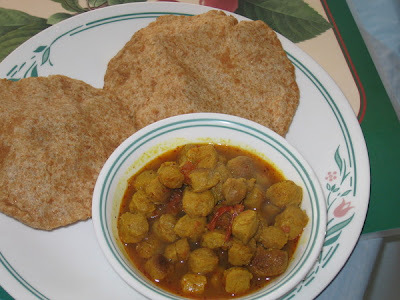 gravy with pooris made from whole wheat flour. You can also eat it with pita bread or rice. have a oven in my home. I simply loved these cookies. 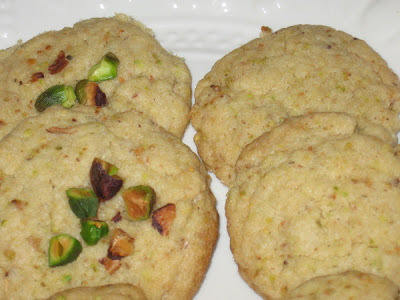 I have made these cookies twice in a span of couple of days! 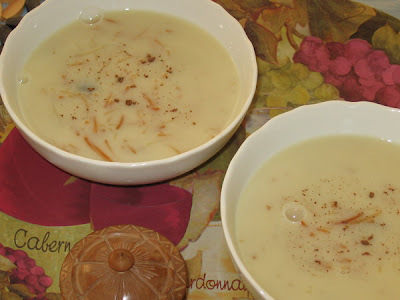 dishes from Karnataka, a southern state of India. blogs with numerous vegan recipes. October 2 is also World Farm Animals Day. Non-Violence each year on October 2. On this day, sale of meat is banned across India. recent polls, most consumers find unacceptable. the production of milk in cows. "Phooka" or "doom dev"
animals have soul, used leather to make sandals? leather: and Gandhi had to learn the art of tanning." Visit this website to know more about Gandhi. 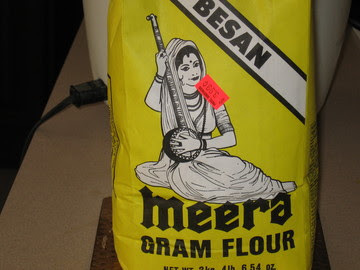 imported from Bombay and other places. Visit this website to know more about leather. daunting and challenging to be a vegan in India. well and the cows provided milk for the family. are some of the products from this dairy. released into the milk and consumed by people"
to increase the production of milk. conditions of the diary and meat industry of India. Indian vegan is a wonderful website with lots of useful information. products, even in local supermarket. Happy cow are some of the useful websites, forum on the internet. know about the latest vegan items in the market. This tastes great when eaten warm. bakeries. Cupcake was also called as apple cake. muffin, but are called cupcake! 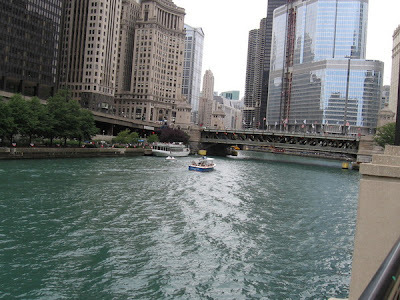 United States, for the first time, I was overwhelmed. this recipe and the taste was superb. 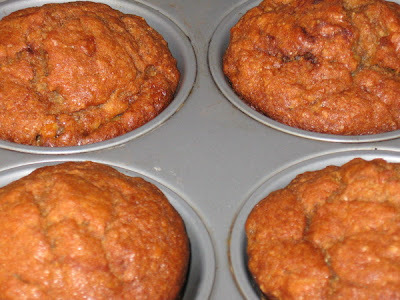 I used very ripe bananas to make the muffins. because the recipe does not require cooking oil. regularly in my home in Bangalore. some ground cinnamon and cloves to make it it spicier. Here, in United States, instead of coconut, I add carrot. herbs such as spinach, parsley , mint or cilantro. 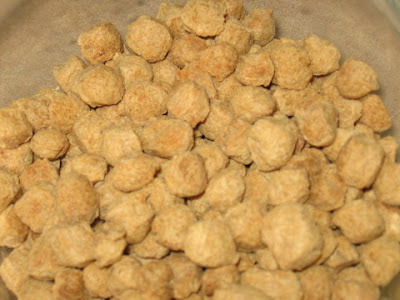 Chana dal is also known as Bengal Gram dal. to know more about health benefits of chana dal. Soak chana dal in water for 4 hours and then drain the water. Using a blender, make it into a coarse paste adding water. carrot, dill, spices and the salt. about 15 minutes or until the batter sets completely. you can use chutney or salsa to eat with these lentil dumplings. While reading a blog, I came across a website - Gentle Thanksgiving. You can read wonderful thanksgiving recipes online or you can order free Gentle Thanksgiving Veg Starter Kit. I love chocolates. 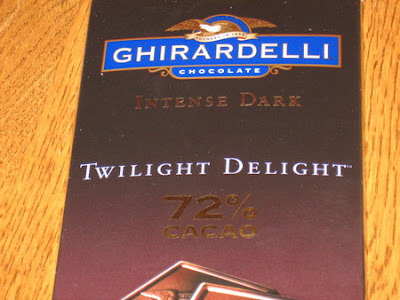 I'm unable to find vegan chocolates in supermarkets across United States. I visit many vegan blogs, but I have not come across any post related to vegan chocolates. I'm sure there are many vegan chocolates which vegans relish. Where do you purchase vegan chocolates and what's your favorite vegan chocolate? I've been tagged by Theresa, to participate in a meme. animals’ backsides, without any painkillers. scholars, is world's first city. palms in Iraq has been destroyed in the war. which are not tested on animals. there will be no peace on Earth unless we stop all killing." made with copious amounts of grated coconut and sugar. stored for nearly a week. sell coconut burfi near the bus stations. 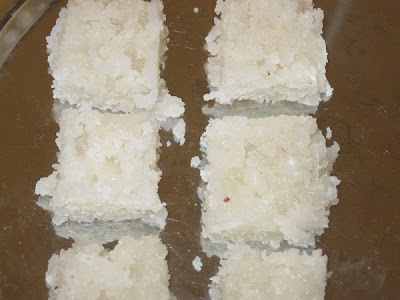 I recently made coconut burfi following Indira's recipe. of 2 tbsp of cardamom seeds to make garam masala powder. 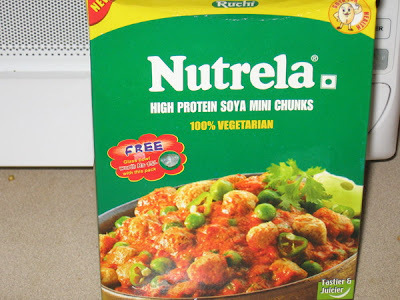 Indian stores and some supermarkets to make this dish. spices and tofu, saute until the tofu changes to light brown. until the tomatoes become very soft. Add salt, and garnish with cilantro. 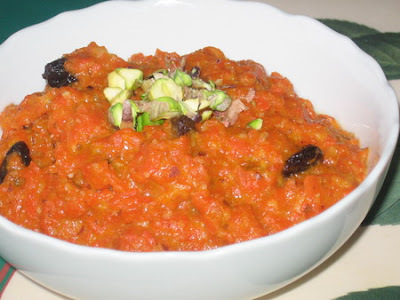 Serve with pita bread, or chapatis. 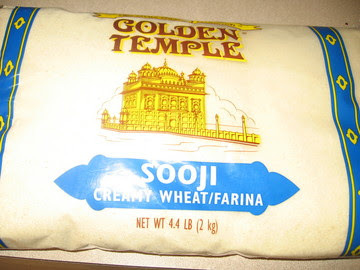 brand of tofu other than Trader Joe's. 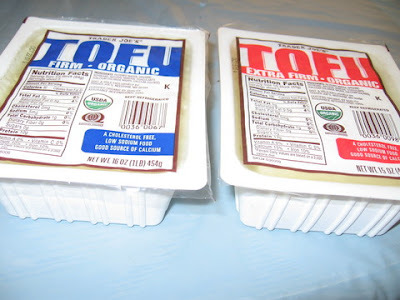 different from other brands of tofu. like tofu because it gets cooked within a couple of minutes. 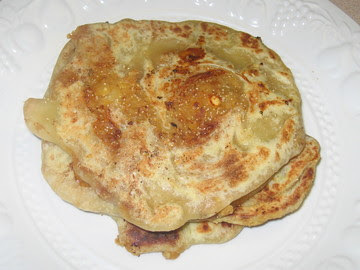 Chapatis(flat wheat bread) or hot rice. 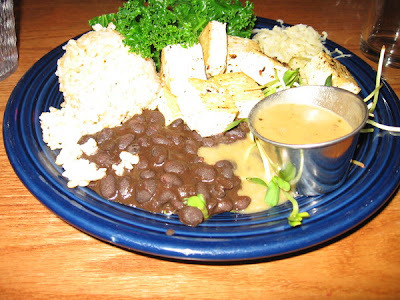 What is your favorite brand and type of tofu? I love sweets. I like to try new recipes once in a while. color of the halwa was breathtaking and I decided to make it. I tasted the halwa before keeping it in the freezer. Mahatma Gandhi as the father of the nation. concept of Ahimsa(non-violence) in his life. Gandhi felt that milk is unsuited for human beings. ghee(clarified butter), and goat's milk. milk and milk products is widely used across India. cities across India are brimming with pizza joints. industry in India is now exposed to the Indians. with soy milk. I followed this recipe. I wish Indians across the world, a happy independence day! Yogis in India from thousands of years have thrived on fresh fruits and milk. Yogis feel that vegetarian diet is the best food for spirutual growth. Yogiraj Gurunath Siddhanath, a yogi from India visits California frequently to preach about Yoga. Yogiraj Gurunath Siddhanath advises his devotees not to become vegan. Visit this video to hear what he has to say about vegan food. in the preparation of mysore pak. The number of vegetarian and vegan restaurants is increasing across the country. But, it can still be very hard to find vegetarian and vegan fare from coast to coast. Compassion over Killing, is offering a free guide - The Vegetarian Guide to Washington, D.C and surrounding areas. Visit VegDC to order the guide. You can find : vegetarian restaurants, groceries, bakeries and caterers. smogsboard of vegan food items. to get an idea of the numerous vegan food items in the supermarkets across the country. just not possible to visit some great restaurants. had the chance to eat Potbelly's vegan sandwich. peppers and with lettuce and mushrooms. esteem , as cows are sacred animals to the hindus. abandoned and aged cows are cared for. most of the Indian vegetarians are lacto-vegetarians. can also be found in this website. sarees by my parents and in-laws. an animal product - leather. amazing cute vegan fashion items made with cruelty-free products. from vegan shoes to jackets. is really so easy to be a vegan in western countries. resources about veganism and vegetarianism. I'm sure both vegans and non-vegans will find loads of interesting and thought-provoking discussions in Veg Blog. This dish was very nice, especially with chappathis. You can also eat with pita bread. love spicy and vibrant dishes, you should visit Mahanandi. Here in United States, I find guavas in Indian stores. Unfortunately the guavas look pale and dry, and so I don't buy them. I recently came across a unusual sweet - Guava Paste Rolls in Trader Joe's.The guava rolls made with guava paste, sugar , and citric acid is wonderful. Eating these sweet rolls felt as if I was munching the real guava. They were fabulous!